"Celebration at the Top," a new culinary experience, is coming soon to the California Grill at Disney’s Contemporary Resort. This new offering can be perfectly summed up in three words: savor, sip, and sparkle. As part of this experience, Guests will check in to the private rooms in the California Grill one hour prior to Magic Kingdom fireworks. There, they will be able to enjoy bar offerings (which are included in the price) as well as a variety of small plates, including canapés, sushi rolls, flatbreads, and more. Guests will have a great view of the Magic Kingdom Park and will be able to enjoy the fireworks from their private observation deck. Cordials and desserts will be available after the fireworks show ends. 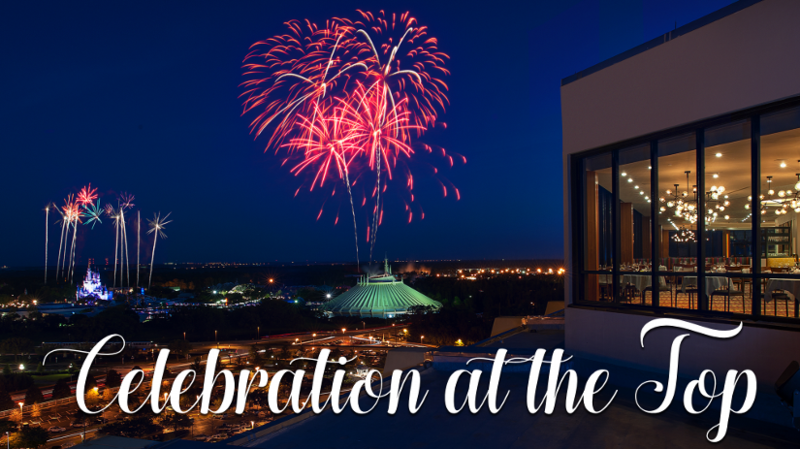 Reservations for Celebration at the Top are now available for Sunday evenings from February 26 to April 16 [UPDATE - Celebration at the Top has been extended through Sept. 24]. Cost is $99 per person, plus tax and gratuity. Complimentary valet parking is included.